Icecream Ebook Reader is a ebook reader that offers annotation addition to the books. 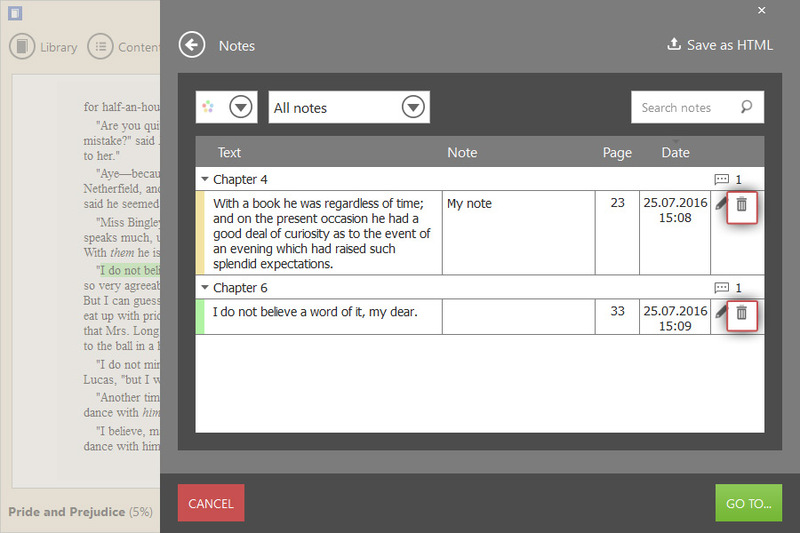 Per each book you can add as many notes and as many text highlighting as you wish. It might happen that some notes or highlights could turn out to be the extra ones. In such a case it's always possible to remove the added annotations through the program's interface. Pay attention to the steps below to see how to remove the notes or the highlights from the books added to Icecream Ebook Reader Library. 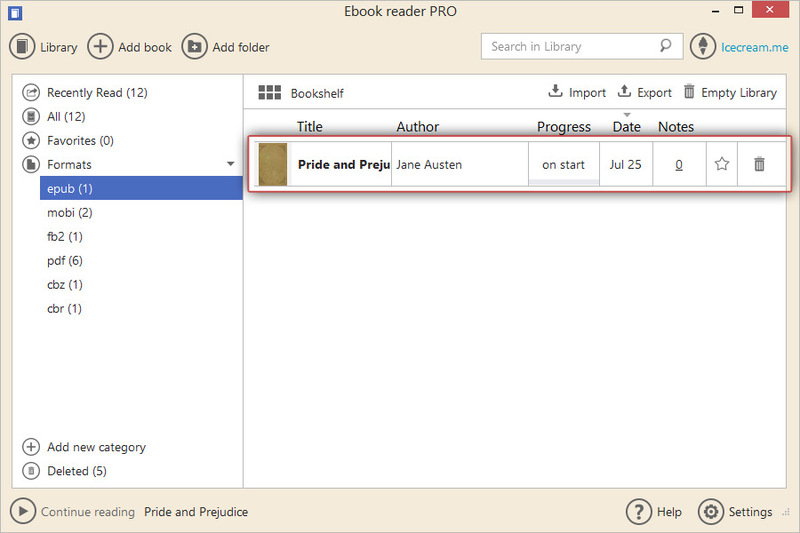 Double click the book's title or its data when the Library is viewed in the Table view or the book's thumbnail when in Bookshelf view. As soon as it's done, the book will be opened in the reading mode. Pay attention to the control panel that is shown in the right side of the program's window. 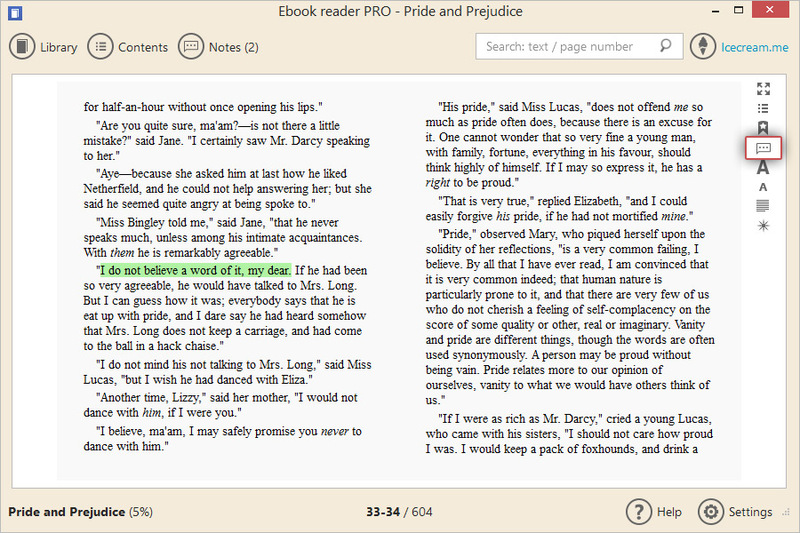 Press the button that has “Show notes” caption to open the notes panel of the opened ebook. Press the recycle bin icon to the right of the note or added highlighting you wish to delete. Right after that, the program will ask you if you're sure you want to delete this note. Click OK to permanently delete the note from the added book.